Paul Stanford is a businessman who is the founder and president of The Hemp and Cannabis Foundation (THCF), THCF Medical Clinics and the Campaign for the Restoration and Regulation of Hemp (CRRH). Paul Stanford is an Entrepreneur with expertise in hemp, cannabis and medical marijuana, and business and nonprofit management. Paul founded and manages medical clinics in several states, and founded and manages national political organizations. In 1988 Paul arranged financing and bank letters of credit for import/export of cargo container shipments of hemp products to and from Asia, Europe and North America. In 1988, Paul Stanford started Tree Free Eco Paper and arranged manufacture of hemp paper in China and Europe. Tree Free Eco Paper imported hemp paper and marketed to businesses and the public via mail order. 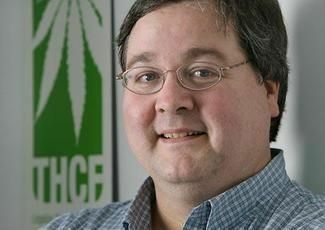 Since 1999, Paul Stanford’s current business The Hemp and Cannabis Foundation has operated medical clinics in 12 states helping patients obtain their state’s medical marijuana permits. THCF has helped over 250,000 patients to date and growing. THCF also produces Paul’s live weekly TV show, Cannabis Common Sense. THCF Medicinal Gardens in Oregon has won many awards for their medicine’s quality. THCF prints a newspaper, Hemp News, which has also been on-line since 1991 and is the oldest online publication still operating today. Hemp News is also available in Spanish.